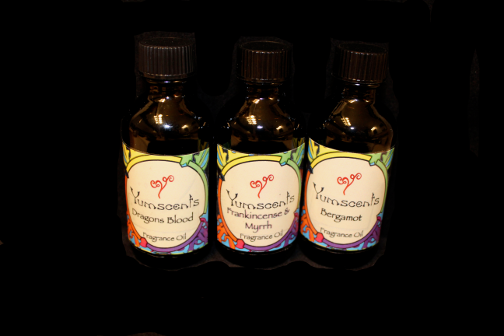 Make your home smell absolutely incredible with our fragrance oils! These high quality fragrance oils are uncut and are fantastic for use in simmer pots, melt warmers, or reed diffusers. You can also put a few drops on a cotton ball and put in your HVAC air filter, vacuum cleaner filter, or under passenger and driver seats in car. Available in 2 oz. bottles. We have tried nearly every scent and loved them all. They are so well done. They diffuse well, work perfectly in the bath and are perfect just to wear. The Love Spell really lasts when I wear it as a fragrance. We have so many favorites! Blue Spruce, Coconut Lime, Honeysuckle-Jasmine... Truly, they are all wonderful. We love this company. The bath bombs, oils, body butter, lip balm...it all makes us SO happy.